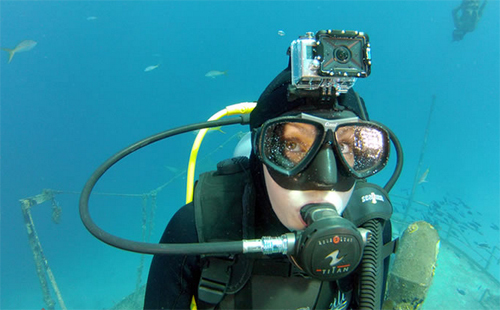 Got an underwater adventure on your calendar? 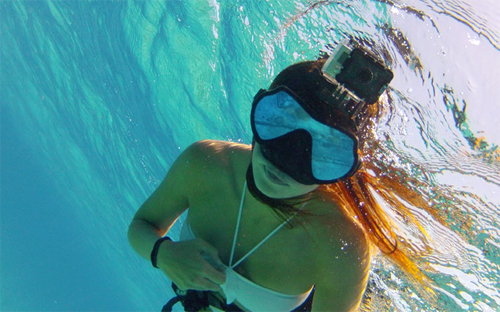 A camera accessory from GoPro, new this week, was made for snorkel and scuba enthusiasts. 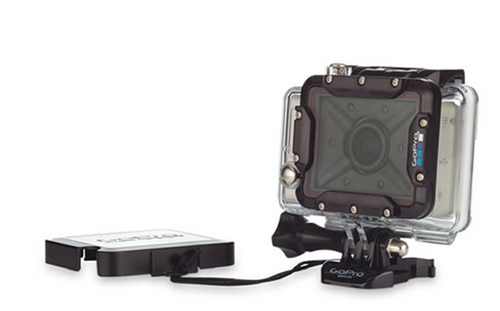 Waterproof to about 200 feet, and featuring a large, flat glass lens for clarity under water, GoPro’s Dive Housing case comes to market this week in time for summer snorkel and scuba trips. The Dive Housing fits over all HD HERO cameras. It costs $50 and comes with a protective lens cap, mounting hardware, and a tether string to prevent you from dropping your camera into the deep. Watertight to nearly 200 feet!